Enjoy your experience? Please go to Google Places and write a review! A friendly, professional, kind and caring place. Associated Dentists & Orthodontics has been a blessing to work with. Before I met Dr. Schwalbach, I struggled with chronic migraines and was taking medication for them. Dr. Schwalbach’s professional expertise pin pointed my headaches to the misalignment in my jaw. He recommended braces for a little over a year. I can say now, they changed my life as I am mostly headache free and off medications. Dr. Schwalbach and his team were always kind, professional and looking out for my well-being. I highly recommend Dr. Schwalbach to anyone needing dental or orthodontic work. In March of 2008, I received an injury to my jaw which resulted in TMJ issues. I was put on a soft food diet, went through physical therapy, and was seen by an oral surgeon. I had lost 26 pounds, could not open my jaw very wide and had constant headaches. I was then referred to Dr. Schwalbach. He suggested braces. I had braces for 1 1/2 years. My braces were removed in July of 2011. My life is now back to normal. Once again, I can eat what I want, not what is soft and I don’t get the constant headaches. I owe so much to Dr. Schwalbach and his team. My family and I became patients of Dr Knotek 6 years ago. I have alway been terrified of the dentist but since my first visit with Dr Knotek that fear has gone away. I have alway been ashamed about not taking care of my teeth as best as I should of. Dr Knotek is the most nonjudgmental person/Dentist I have come across and I appreciate that. I had some horrible tooth pain so I called at 7am and spoke to Zenda to see if I could get into see Dr Knotek that same day. She said he was booked solid and he didn’t start clinic until 11am that day. Zenda said she would contact him directly and see if he could come in early to look at my tooth. Zenda called back shortly after and said Dr Knotek could see me at 10am. I came in to find out I needed a root canal. I was so nervous but knew this was something I needed to take care of. Dr Knotek walked me through the whole process which helped ease my mind. If I would of had to wait to see him I would of because he is the only Dentist I trust. I am very thankful to Zenda and Dr Knotek for getting me into be seen with a moments notice. I had my root canal less then 24 hours ago and I feel WONDERFUL! Thank you soooo much!! Our family has been patients of Dr. Agrimson for the past 5 years since moving to River Falls. We have valued and appreciated the excellent customer service and the attentive and caring demeanor of Dr. Agrimson. He takes a personal interest in the health of his patients and offers excellent insight for good oral health. We are so grateful we chose Dr. Agrimson and Associated Dentists for our provider! Dr. Schwalbach has been our family dentist for many years. When my husband and I retired 11 years ago we moved from River Falls to our lake home, 75 miles away. We decided we could change medical doctors but that we would continue to drive back and see Dr. Schwalbach for any dental needs. He is not only a great dentist but also such a gentle, soft-spoken, caring person. He always assured us that we could contact him at any time if we had any concern or problem. Thank you, Dr. Schwalbach, for your services all these years but also for your friendship. I’ve been a patient of Dr. Schwalbach’s since moving to River Falls 10 years ago. I had some rather extensive oral surgery to correct TMJ issues and the post-surgical and orthodontia care I received there was phenomenal! They make all aspects of dental care a pleasant experience. My first experience with Associated Dentist was an emergency visit, Dr. Agrimson ended up having to do a root canal on one of my teeth. It was done with very little discomfort and we progressed to discuss what my next step was. I had a front tooth that stuck out due to years of bone loss, I even nick-named it my “fang.” Being a social guy I love to laugh and smile, but I was embarassed to do so and became very self conscious of my ugly tooth. Dr. Agrimson was very understanding and was happy to discuss all my options. 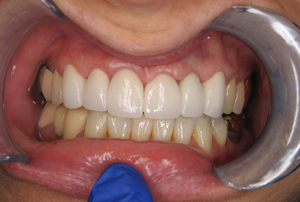 It was decided that I would have a bridge and crowns done to repair my smile. Since my root canal was done with so much success I felt comfortable with the diagnosis. When the day arrived for the “fang” to be removed and the bridge/crown work to begin my fears were put to rest by the wonderful staff and assistants-what a great group of people! I now feel confident that my smile has been restored, the social guy is back folks and I don’t hold back any happiness in my smile and feelings anymore! 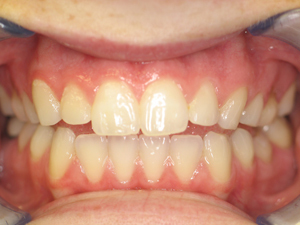 My thanks to Dr. Agrimson, his assistants and professional staff for the magic they performed on my smile. Shortly after moving to River Falls in 1976 my wife and I started going to Dr. Schwalbach. Since then we have never looked back and are very grateful for the care and friendship we have established with Steve and his staff. His office has provided not only care for us, but also for our daughters. 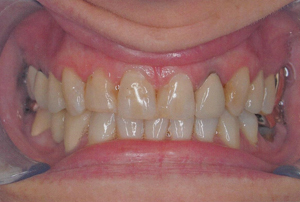 Not only did they go through the years of checkups and braces, they also developed a good habit of dental hygiene. Linda and I have continued a regular schedule of checkups proving beneficial for us. A few years ago I incurred a broken tooth due to a shotgun pellet from a hunting accident. Needless to say this was a bit dramatic, but the comforting and professional treatment I received was outstanding. We feel at ease walking into the friendly office of Associated Dentist for top notch service, care and advice…As my dad said, “Be true to your teeth or they will be false.” Steve and his staff have made this happen for us. I have been a patient of Associated Dentists for more then 30 years. The care provided has always been superb in all respects. RESPECT is the key word at Associated Dentists, total respect for me as a patient, for me as a person, and for my schedule in providing care! I highly recommend Associated Dentists to you, your family and friends. “Dr. Stamets is an amazing dentist. I have needed MAJOR work over the last year and he is very aware of my fear of the dentist. Dr. Stamets not only makes sure I am comfortable (or as comfortable as you can be at the dentist) he also always makes sure I understand what is happening and what my next step will be. I recommend him to anyone who asks and even people who don’t ask! Dr Stamets has a great sense of humor which hleps me through each appointment. Unfortunately, there is one thing we will never see eye to eye on and that is his choice in sports team. I am willing to overlook this (and it isn’t easy for me) because he is such a great dentist! When my wife and I moved to R.F. in 2007 we needed to find an office for our dental care. My daughter had lived in R.F. for 9 years and recommended Associated Dentists. Both of us selected Dr. Agrimson as our primary dentist and it was the right choice!! His attention to detail and knowledge of dental care is exemplary. Whether it is a dental cleaning consultation, attending to a cavity, or as complex as crown and bridgework, Dr. Agrimson clearly explains the options and processes to the patient. His concern for the patient is of utmost importance to him. He assures that each dental visit involves minimal levels of pain. When we leave the dental chair both of us feel like we are the only patients he has. “I have found Dr. Stamets to be an amazing dentist! I had neglected my teeth and avoided the dentist because of a phobia I had. 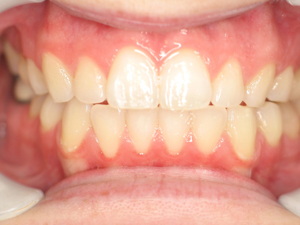 After tooth loss forced me to go, Dr. Stamets has done a great job easing me into my treatment. He has worked with me and my anxieties. He came up with a treatment plan for fixing my teeth, and now I’m only one appointment from having everything fixed! I no longer feel any anxiety about the dentist – Thank you Dr. Stamets!